When you get your first grey hair you might be a little surprised. 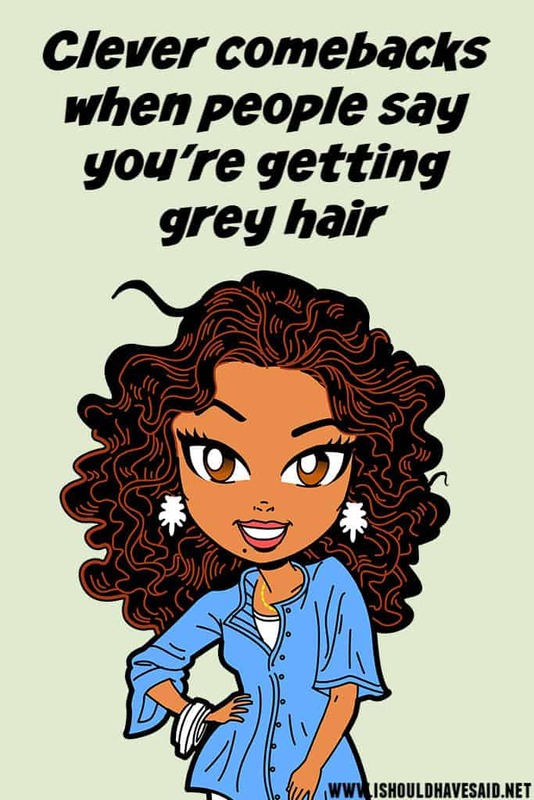 After all, grey hair is for older people not a young whipper snapper like yourself! Then all of a sudden, you start noticing more and more grey hair, they’re sprouting up everywhere on your head. Your friends and parents keep pointing out that your silky hair is now starting to sprout strands of grey. Don’t worry, you are certainly not alone. A lot of folks try to hide their visible signs of aging with a little hair dye. Next time someone points out that your luscious locks contain a few grey strands, use one of our fun comebacks. A little grey hair is small price to pay for all this wisdom. It's not grey hair it's platinum highlights. No, those are not grey hairs, they are strands of glitter growing out of my head, idiot! Got any comments, questions or tips for dealing for dealing with someone who says you’re getting gray hair? Share them in the comments below. Why do people always like to point out that people are getting grey hair? Focus on your self. Grey hair seems to be fashoinable now days, there is a trend of dying air grey especially with the younger generation.